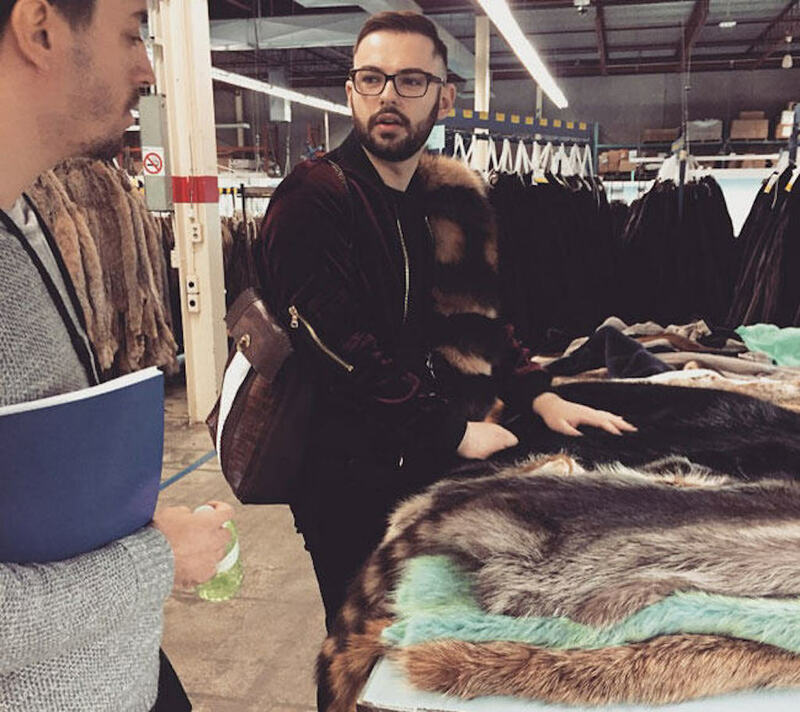 In 2016, fur design students Alejandro Hendel (left) and Jacob Shanbrom visited North American Fur Auctions (NAFA) as part of the “Fur Futures” program organised by the International Fur Federation. They attended seminars on mink grading and wild furs. Recalls Jacob, "I enjoyed learning the nuances that distinguish a good skin from a phenomenal skin, and loved learning that so much of the sorting process Is done manually, not by computers!"